The Compasso d'Oro Internazionale awards event hosted by the Association of Industrial Design or Associazione per il Disegno Industriale (ADI) has become a prestigious awards in Europe since 1954, for the design of industrial products. This time it has entered the 24th edition, which was held in Milan involving international judges, who will assess as many as 237 product designs. 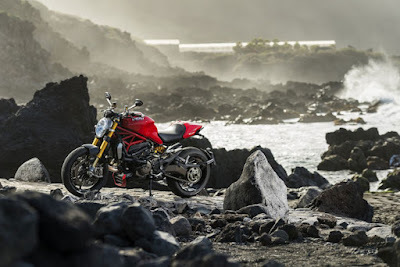 At the 24th ADI Compasso d'Oro Award, the Ducati Monster 1200 S is awarded as an Honourable Mention. 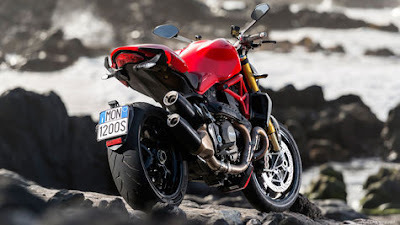 The award refers to products that are unmatched seen in the context of industrial design, and the Ducati Monster 1200 S to be the only motorcycle that receiving the award. So it will be on display at the Palazzo Isimbardi, Milan from 14 to 22 June 2016 of the event. "It is an honor to be recognized by ADI, whereas not long ago we received the Compasso d'Oro for Panigale," said Andrea Ferraresi of Ducati Design Centre. "We share this joy with our colleagues in the engineering department, because without their contribution is of course impossible we gain important design solutions. Our happiness becomes double because, in this case, we have determined an iconic motorcycle design is a Monster." Monster 1200 S naked bike has been a dream bike since its presence in 1992, the lines of the Monsters has opened a new family of two-wheel segment. Designed to combine simple elements becoming into the super design, so the Monster became real style icon. The core of the concept, less is more that encapsulates the essence, eye catching and unmistakeable.